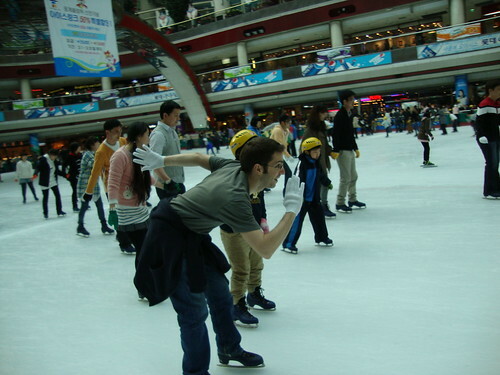 A couple of weeks ago, taking the chance after Kim Yuna’s win in the Winter Olympic Games, we went skating to the ice rink in Jamsil. 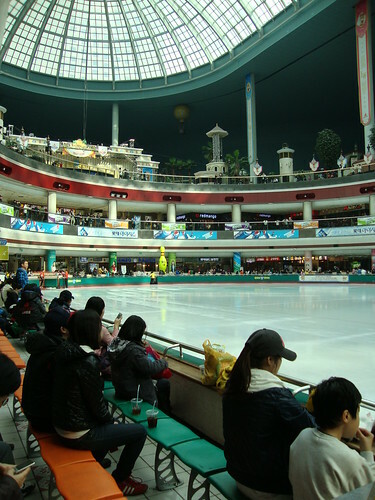 This ice rink is inside Lotte World, but you do not have to pay the entrance to the theme park if you only want to skate. 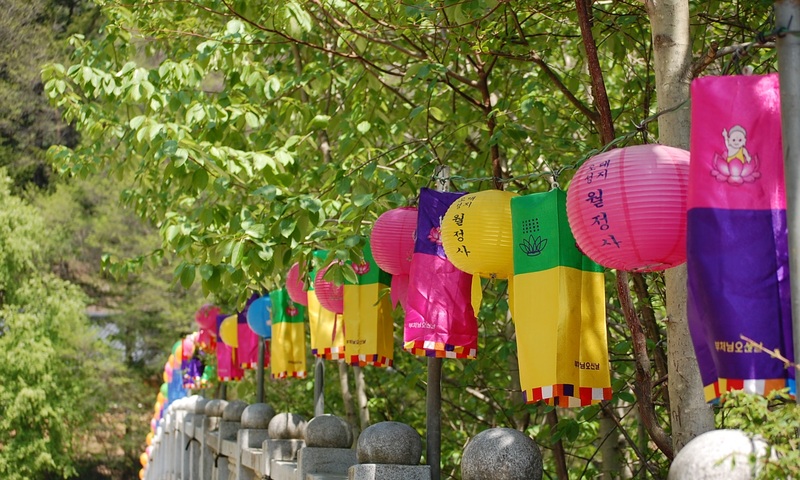 You can skate as much as you want (there is no time limit) for 13,000 won. Wearing gloves is mandatory (I guess they don’t want cut fingers on the ice rink…), but you can also buy them there for 1,000 won. There were two things that surprised me. One is that there were many children skating, and many of them taking speed skating (the boys) or figure skating (the girls) lessons. View of the ice rink right after being cleaned-up (every hour more or less everybody has to go out during 15 minutes so that the ice rink can be cleared of scratches in the ice). 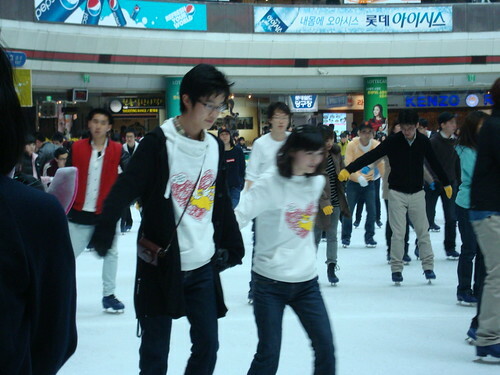 People skating. 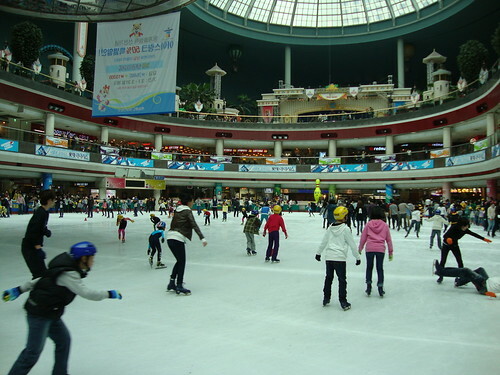 On the left you can see the children learning how to speed-skate.